RAR is the native format of WinRAR archiver. Like ZIP, RAR files are data containers, they store one or several files in the compressed form. WinRAR has a built-in rar repair feature. When WinRAR opens a compressed file which seems to be damaged, it will attempt to repair it. You may also use the rar repair feature from WinRAR menu, tools, repair corrupted file, or use "ALT" + R hot button to open the rar file repair feature. WinRAR can only repair RAR and ZIP compressed file. The WinRAR repair is using the compressed file data and the extension, and it automatic detect compressed file type, but the user may also select the compressed file type manually. The source compressed file is not changed, the recovered compressed data will be preserved into the new compressed file. The new compressed file will be named as _recover.rar or _reconst.rar. If it has not restored the data, maybe the RAR compressed file is in very bad condition and not recoverable in this case. You may also use third-party rar file repair software to recover the corrupted or damaged rar file. Advanced RAR Repair from DataNumen Inc.
Advanced RAR Repair(ARAR) is a powerful tool to repair corrupt or damaged RAR archives. It uses advanced technologies to scan the corrupt or damaged RAR archives and recover your files in it as much as possible, so to minimize the loss in file corruption. Currently ARAR supports to recover all versions of RAR and SFX archives. Moreover, it is integrated with Windows Explorer, supports drag & drop operations and command line parameters, which will make you repair files easily and quickly. 1. Input or select the corrupt RAR or SFX archive to be repaired. You may also click the search button to search and select the pst files to be repaired in the local computer. 2. In "Output recovered files in archive to:", specify a directory where recovered files in RAR archives are outputted. 3. Click "Start Repair" button to start the repair process. You will see the change in progress bar. If you want to abort the repair process, click the "Stop Repair" button. 4. After the repair process, Advanced RAR Repair will scan the corrupt RAR or SFX archive and for each file in the archive, Advanced RAR Repair will try to recover and save it into the directory specified in step 2. 5. You can click the "Upload File" button to open the file upload dialog. In the dialog, you can click "Start Upload" to upload the source corrupt RAR or SFX archive to our ftp server. You may also input additional information, such as your contact information, a brief description of your file corruption, or your problem in the "Comment for the files" before you upload the files. After your files are uploaded, our qualified engineers in file analysis center will try to analyze your file and provide the best data recovery solution to you. 6. You can click the "Save Log" button to save the repair log into a file. You can also include additional information in the log file by selecting the "Include System Information" option in the save file dialog. These information can help our technical supports to diagnose your system and solve your problems more efficiently. R-Undelete is a software product from R-Tools Technology. R-Undelete is an inexpensive and easy-to-use yet powerful file recovery solution for FAT and NTFS file systems. R-Undelete recovers files on any local disks recognized by the software. An additional recovery algorithm increases file recovery quality. For user's convenience R-Undelete can be run from disks and folders context menu. R-Undelete can undelete files on any valid logical disks visible by the host OS when files were: removed without Recycle Bin; removed by virus attack or power failure; removed when Recycle Bin has been emptied. R-Undelete supports Dynamic Disks, encrypted files, localized names, compressed files and alternative data streams. R-Undelete supports Dynamic Disks, encrypted files, localized names, compressed files and alternative data streams. Most of graphic, video and audio files can be previewed in R-Undelete Demo mode to estimate recovery chances before purchasing. In comparison with the previous version, R-Undelete 4 was supplemented with an improved wizard-style interface oriented on data recovery novices and an option to recover files from damaged and deleted partitions that bring R-Undelete to a highly rated R-Studio level except for some special data recovery features like RAID , Hex editing and Network support. R-Undelete cannot undelete files on damaged or deleted volumes or in the case of hard drive repartitioning. Active Undelete is a data recovery software from LSoft Technologies Inc, software development company designing disk utilities related to the recovery of lost data and online privacy. Active Undelete will help you to restore data residing drives formatted in FAT12, FAT16, FAT32, NTFS, NTFS5, NTFS Encrypted file systems and it works under all Windows family operating systems: Windows 95, Windows 98, Windows ME, Windows NT, Windows 2000, Windows 2003 Server and Windows XP. Active Undelete is designed to explore and browse all data storage devices on your computer in different ways to find and recover lost data. All information in the application is organized in tabbed views that provide easy access to information for different purposes. After you have completed a device scan, a Scan Results branch appears in the Recovery Explorer tree. Detected partitions are listed in order of their certainty. There are 12 attributes that define a partition. In some cases, the application cannot be certain that the found item actually is a partition. The rating in the order of certainty depends on how many attributes are found and what condition they are in. The price of Active Undelete is $39.95 in USD. Supports all modern file versions, including Excel XP, Excel 2000, Excel 97, Excel 95 and Excel 5.0. Recovers cell data: text and numbers as well as formulas. Restores structure of multi-sheet files. State of the art recovery engine, designed to fix worst injuries. Easy to use. No special user skills required. Available for all modern platforms: Windows 95/98/NT/2000/ME. 2. Select the Recover... item in the File menu. A file selection dialog will open. 3. Select the file corrupted to recover. 4. Press the "Recover" button to start processing the file. 5. Wait until the file processing is completed. 6. When prompted, save the recovered file, assigning it a new name. Actual results of recovery depend on how damaged a particular document is. Advanced Excel Repair is a powerful tool to recover corrupted Excel XLS and XLW files. It uses advanced technologies to scan the corrupted Excel files and recover your data in them as much as possible, so to minimize the loss in file corruption. Main features include: recovers cell data including texts, numbers, and formulas; restores structure of multi-sheet files; restores worksheet names; recovers Excel files on corrupted medias, such as floppy disks, Zip disks, CD-ROMs; repairs a batch of Excel spreadsheet files; supports integration with Windows Explorer, so you can fix a XLS file with the context menu of Windows Explorer easily; supports drag & drop operation; supports command line parameters. The Workbook Rebuilder has been highly recommended on several Microsoft newsgroups. The rebuilder fixes corrupt workbooks and overcomes many problems including unexplained errors and Excel locking up while saving and opening workbooks. There are many undelete software titles in the market. You may get them from various download sites to undelete files. Most provide free trial version download. It is important that never download or install the software to the drive that contains your deleted files. R-Undelete is an easy-to-use yet powerful file undelete solution for FAT, NTFS, NTFS5, and Ext2FS file systems. R-Undelete can undelete files on any valid logical disks visible by the host OS. After the program scans the selected drive, you can select the files to be restored from an easy to understand tree view that marks deleted files in red. The program cannot undelete files on damaged or deleted volumes or in the case of hard drive repartitioning. Active@ UNDELETE is a data recovery software that helps to recover lost, deleted and formatted data on local and network drives, as well as removable drives and digital media like Secure Digital, CompactFlash, SmartMedia, MemoryStick etc. The program supports FAT12, FAT16, FAT32 and NTFS files on any Windows systems including servers versions. In addition, the program supports EFS (Encrypting File System) file recovery, damaged RAID reconstruction and also allows you to create a disk image to further protect your data. Undelete Professional is a data recovery tool that replaces the standard Windows recycle bin with a Recovery Bin, which is more powerful and can undelete all types of files, even if they were deleted over the network or from a command (other programs etc.). It acts as a preemptive measure to avoid data loss, providing a safe way for easy recovery. Undelete Professional also includes SecureDelete to permanently wipe files from the disk as well as extended search functionality to find deleted files based on various criteria. Other features include support for files versioning, free space wiping, file and folder exclusions and more. Undelete can recover files deleted before Undelete was installed, provided they haven't been overwritten. Plus you can recreate the original folders which makes reorganizing your restored files a snap. Undelete Plus enables you to undelete files that have been emptied from the recycle bin. The program quickly scans a selected drive and presents you with a list of files that can be recovered, along with the status for each file (very good, good, bad etc.) indicating the likeliness of complete recovery. Undelete Plus automatically sorts the files based on file type and folder, making it easy to find specific files, and you can also apply a filter to search for a specific file. File Scavenger is a file-undelete and data-recovery utility. Files accidentally deleted from Windows Explorer, the Recycle Bin, the command line window, or a network share can be recovered along with the original folder name and dates. Reformatted volumes, broken spanned volumes, or broken hardware and software RAID volumes also can be recovered. Digital photos on almost all media can be recovered. GetDataBack Data Recovery is a highly advanced data recovery software that will help you get your data back when your drive's partition table, boot record, or FAT/MFT or root directory is corrupt, a virus has hit the drive; when files are deleted; or when the drive is struck by a power failure. The software can even recover your data when the drive is no longer recognized by the operating system or when all directory information is lost. Advanced algorithms will make sure all directories and subdirectories are put together as they were, and that long filenames are reconstructed correctly. GetDataBack Data Recovery is safe because it's read-only, which means the program will never attempt to write to the drive you are about to recover. A filename extension is a suffix to the filename applied to indicate the file format of its contents. In Windows, usually, the file extension contains 3 letters (e.g. AVI, JPG, DOC, XML, PDF) or 4 letters (e.g. DOCX, XLSX). Please open Windows Explorer, go to menu Tools, Folder Options. Click on the View tab and if the option "Hide Extensions for Known File Types" is active, de-select it. Then the extension name of the files will be shown in Windows Explorer and you may proceed to rename the file as you need. Right click on the filename you need to rename, then choose "Rename". Press "End" button to move to the end of the filename and change the extension name, and Press "Enter" to complete the extension name change. Windows will prompt you that changing the file name extension might cause the file to stop working properly. If you are certain that the extension you typed is one that the program you are using will understand, click Yes to confirm the change. For the damaged Outlook Mail Archive or Inbox file with extension .pst, you may use the tool provided by Microsoft Outlook named "ScanPST". 1. Run the inbox repair tool (scanpst). 2. Recover the repaired items. 3. Optionally, you can try to recover additional repaired items from the backup personal folder. If you are using Outlook 2002 or if you are using a .pst file in Outlook 2003 that was created in an earlier version, the Inbox Repair Tool may not work if your .pst file has approached the 2-GB size limit. Therefore, check the file size before you continue. Depending on your Windows version, your .pst file might be located in one of the following folders. If the file has approached the 2-GB size limit, you can use the PST/OST cropping tool to make the file smaller. For more information about the PST/OST cropping tool, click the following article number to view the article in the Microsoft Knowledge Base: Oversized PST and OST Crop tool. 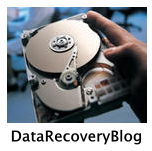 This blog is about data recovery software, solution, knowledge and technology. It is from several experts in data recovery industry.